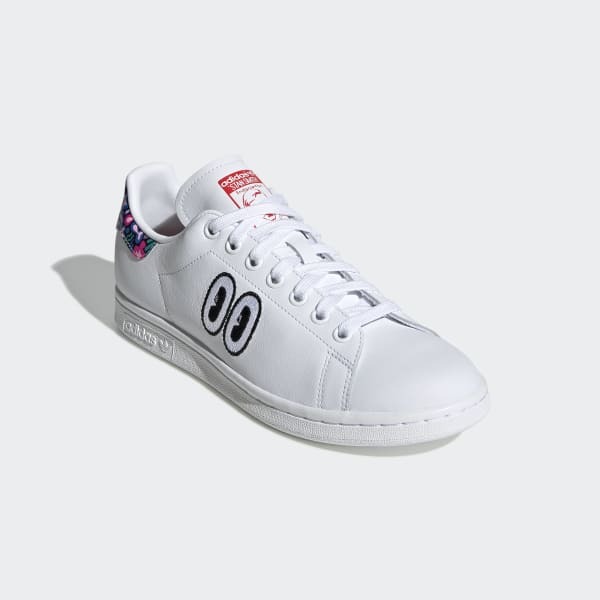 A Stan Smith sneaker with whimsical cartoon graphics. Born on the tennis court, the Stan Smith shoe is now a streetwear favourite. 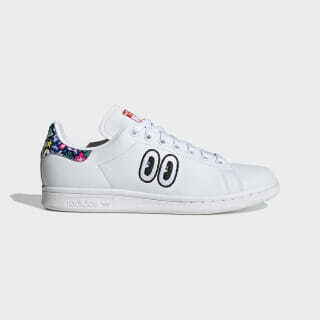 This adidas Originals Galllery edition is a collaboration with London-based artist Hattie Stewart. The leather upper shows off Hattie's vivid, playful cartoon graphics on the heel tab.